Where to Buy Nimitz Pro G, Nimitz Pro G Nematicide - 40 Lbs - $230.00 for Sale with Fast Free Shipping! Nimitz Pro G Nematicide - 40 Lbs kills the nematodes that has shown excellent activity against the major genera for nematodes attacking turfgrasses. By buying this product & leave product review you can collect normally 23 reward points as a voucher of $2.30(1%). Nimitz Pro G is a phenomenal nematicide that offers unparalleled reductions in Lance, Sting, Root Knot and Lesion nematodes (among others) as well as remarkable gains in root length and weight creating visibly healthier turf. Fluensulfone, the active ingredient in Nimitz Pro G will not interfere with other scheduled treatment programs including fungicide rotational efforts and does not persist so long as to create a negative impact on the environment. Nimitz Pro G is your only choice for sound, effective low-environmental-impact nematode control. 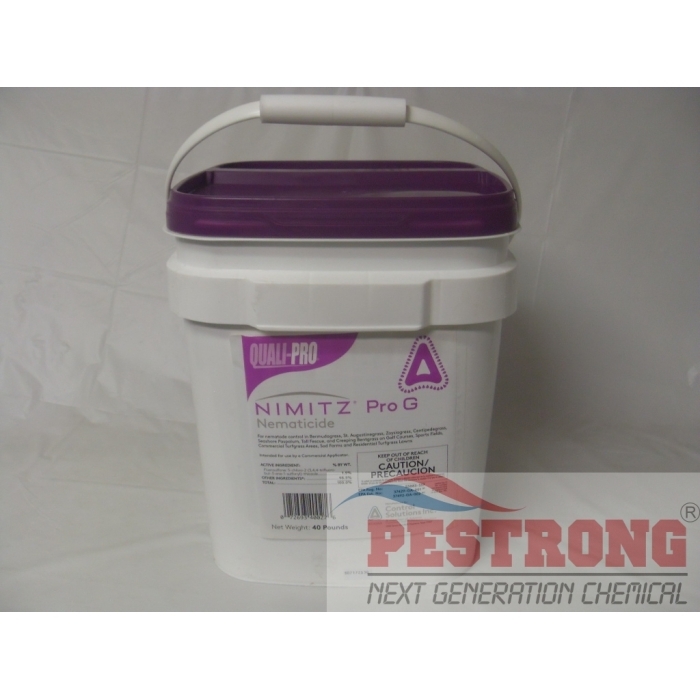 Nimitz Pro G is a non-fumigant nematicide, which saves time and money with a simple broadcast application method. The granules can easily be applied with rotary or drop spreaders at a rate of 60 - 120 pounds per acre, not exceeding 240 pounds per acre per year. Do not apply when soil temperature is below 55ºF. Amdro is economic size for me to do fire ant control. The powerful brand make me happy. good product.